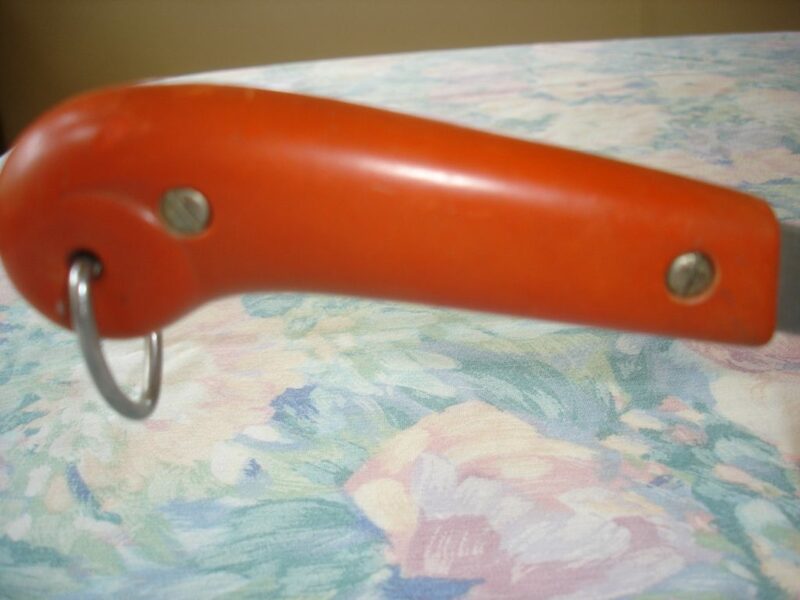 I still don’t understand the reasons Revere Ware made some colored Bakelite parts, but we do come across them from time to time. 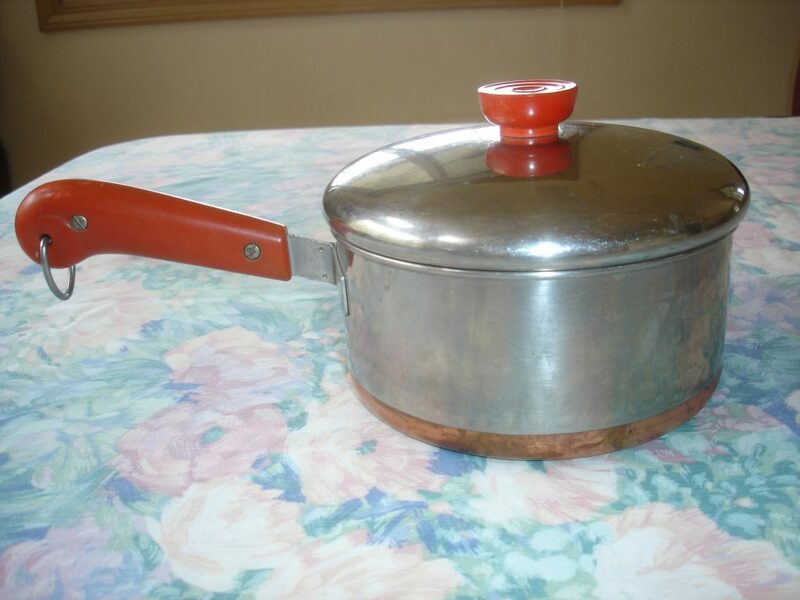 Occasionally, they sell for ridiculous amounts on eBay. 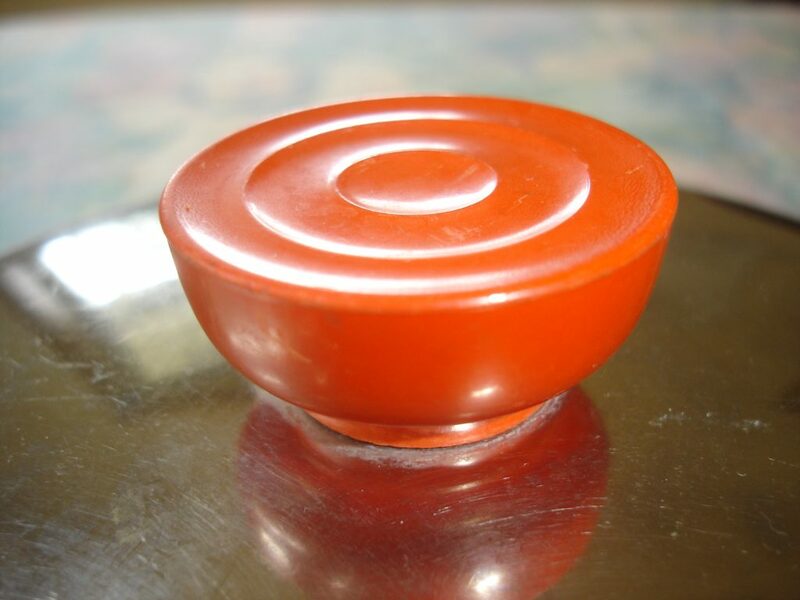 Lynda sent us these pictures of her sauce pan with orange Bakelite parts.